For Christmas last year my sister Dana got me this great cookbook called Cooking from Above - Asian and this is from that. The photographs in the book are so beautiful, and the recipes are so simple. This will clear your sinuses if you have a cold, it's very gingery. Cut the tofu into 6 cubes (I would cut it into more, smaller cubes next time). 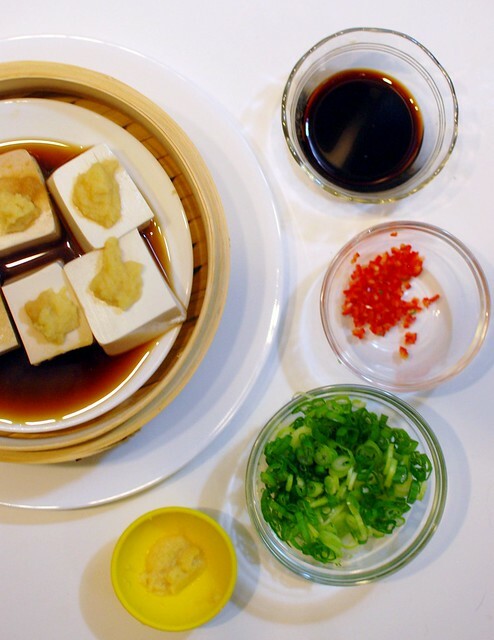 Place on a plate that will fit into your steamer basket, and plop the ginger onto the cubes of tofu. Combine the wine, soy sauce and sugar in a small bowl, and pour half over the tofu. Steam the tofu for 10 minutes in your steamer, then serve warm with the rest of the sauce, the scallions, and the chilis. We served this over rice. 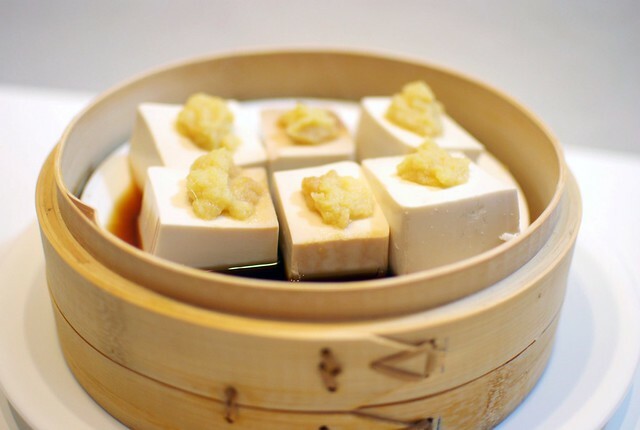 Steamed ginger adds taste to the tofu recipe.